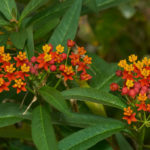 Asclepias curassavica is an evergreen, perennial subshrub up to 3.3 feet (1 m) tall with pale gray stems. The leaves are arranged oppositely on the stems and are lanceolate or oblong-lanceolate shaped ending in acuminate or acute tips. The flowers are in cymes with 10 to 20 flowers each. 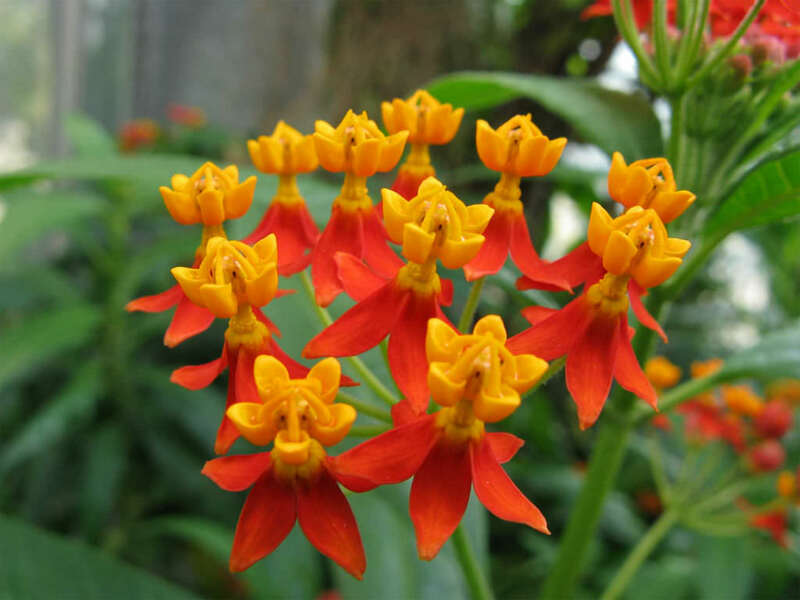 They are up to 0.8 inch (2 cm) in diameter and have red corollas and corona lobes that are orange. Flowering occurs in summer and fall. The fruits are up to 4 inches (10 cm) long, fusiform shaped and are called follicles. USDA hardiness zone 8a to 11b: from 30 °F (−1.1 °C) to 50 °F (+10 °C). 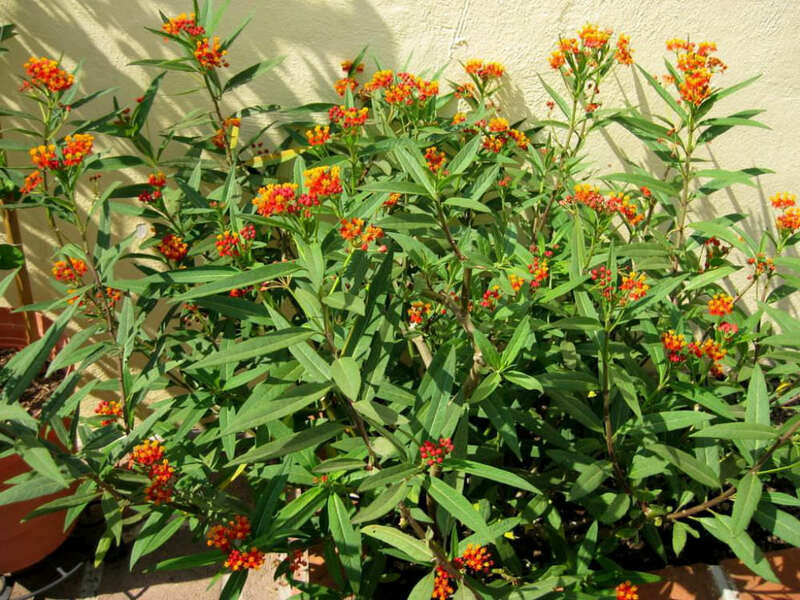 You can easily grow Milkweeds to attract the Monarch and other flying creatures to your garden. 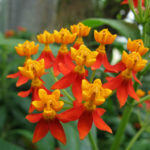 Plant seeds of the Milkweed Plant indoors or direct sow outside after danger of frost has passed and soil has warmed. 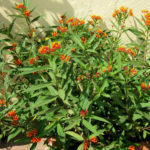 If the appearance of the plant is too weedy for your taste, grow Milkweeds in a hidden but sunny corner or at the back of a border. 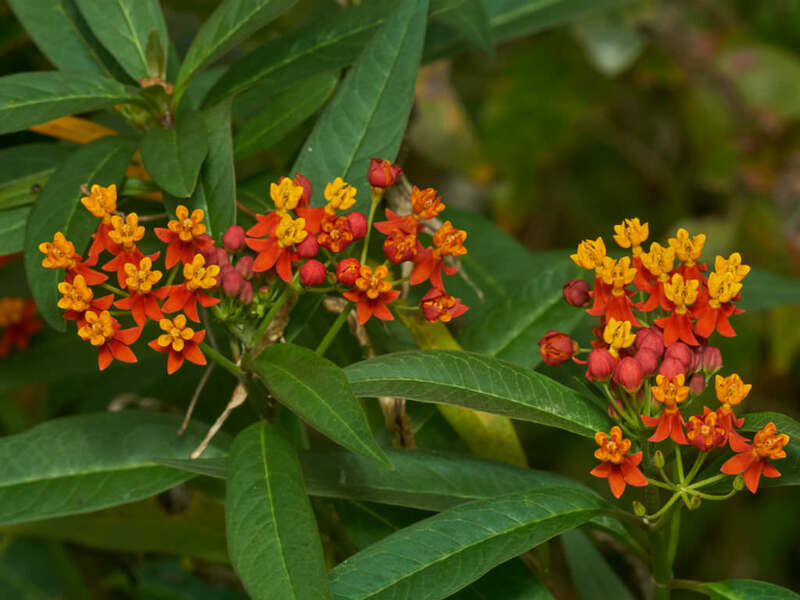 Milkweed often does not begin growing in northern gardens in time to be fully beneficial to butterflies. There you can start seeds of Milkweed inside so they will be ready to plant when the soil has warmed. Native to the American tropics.